When I was eight years old, I became a shipbuilder. The ship in question was the RMS Mauretania – not the actual ocean liner, you understand, but a 1:600 scale plastic kit made by UK model manufacturer Airfix. The kit had been a gift from a kindly relative and, despite having no particular interest in ships, I broke open the box and assembled it with the blind unthinking enthusiasm that fuels all our young lives. I didn’t do a bad job. Yes, there were smears of glue here and there, and the two halves of the hull didn’t quite line up. But I was thrilled to see the end result looked – more or less – like the picture on the front of the box. The only thing my pristine white ship lacked was a coat of paint. As I dragged a scraggy horsehair brush across the Mauretania’s decks, attempting to glob colour into all the hidden corners I couldn’t properly reach, I told myself that next time I’d paint all the pieces before assembly. It didn’t occur to me that there wouldn’t be a next time, because by then I was hooked. 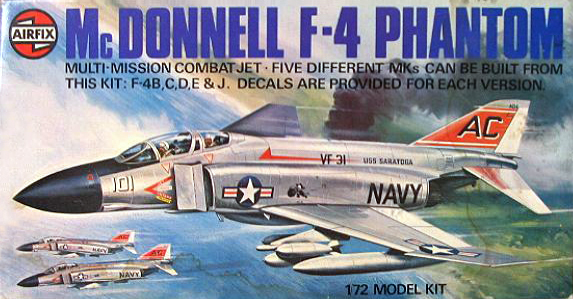 My second kit was a McDonnell Douglas F-4 Phantom. Even before I’d liberated the plastic components from their polythene bag, I’d decided that jet fighters were way cooler than ocean liners. Forgetting my resolve to paint first and glue later, I put the aircraft together in a kind of solvent-fuelled ecstasy. The solvent in question was the polystyrene cement required to weld together the various components. I never got addicted to the glue, only to the models it helped me make. Still, the addiction was strong. By the time my Phantom took to the air, I was a full-blown Airfix junkie. Countless kits followed. Over the years, I must have built the entire Airfix range, and half the Revell one to boot (I never liked Revell as much – the parts just didn’t fit as neatly). My favourites were World War II aircraft; I had an Avro Lancaster, a Heinkel 111, a Boeing Superfortress, all at that classic kit scale of 1:72. In building them, I learned not only about modelmaking, but also about engineering and aeronautical history, as I compared the big-hearted designs of the RAF to the curiously alien practicality of the Luftwaffe, and the sleek silver futurism of the USAF. As my experience grew, I even committed to my “paint first” pledge. This proved especially important with aircraft. Believe me, once the cockpit is sealed up, you’ve no chance of getting a paintbrush in there. One long winter I built a 1:24 scale Hawker Hurricane – a giant, super-detailed fighter with a working propeller driven by a tiny electric motor buried deep inside its polystyrene engine. I ran a fishing-line radio antenna from cockpit to tailplane, and used a hot needle to burn bullet holes in the wings. It was my pride and joy. At the height of my obsession, I had over one hundred plastic kits on display in my bedroom. They sat on shelves and on the window sill; they hung from the ceiling on cotton; they clustered on the floor. But gradually, as the years went by, I modelled less and less and, by the time I left home, I’d abandoned the hobby altogether. Except I haven’t altogether left it behind. To this day, I’ll occasionally find myself with the contents of a plastic kit spilled on the dining room table and a tube of polystyrene cement in my hand. Just for old time’s sake, you understand. It’s usually my wife who gets me started: one Christmas she bought me the Titanic. 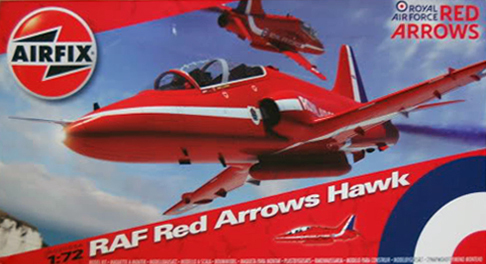 Another time, while I was doing a stint of work in Lincoln she gave me a Red Arrows BAe Hawk (my office was close to the RAF display team’s base, and I often saw them practising their aerobatics through the window). What’s extraordinary is how evocative the procedure still is. It’s time travel, really. Modelmaking – whether from kits or scratch – is an almost entirely sensory experience. It’s all about the smell of the plastic, the snap of the parts as you release them from the sprue, the satisfying click as you locate one component precisely into its mate … and yes, the smell of the glue. 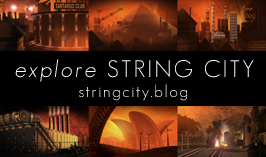 There’s also the boyish wonder that comes from creating your own tiny slice of the world. It’s the process of construction that I love best, but still there’s a nostalgic joy that comes from closing one eye and descending to the level of the finished model. By making yourself tiny – in your mind at least – you exit this clumsy realm and enter another, one of almost infinitely detailed delicacy. 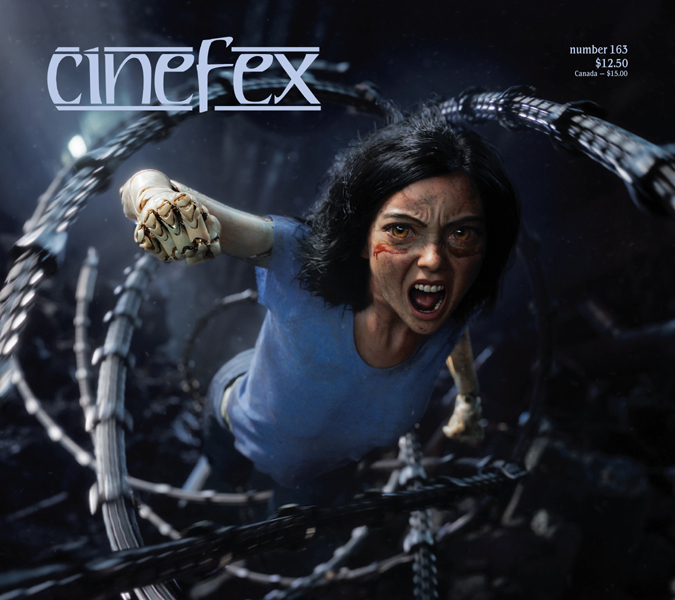 It’s the best kind of fantasy, really: one you’ve made with your own hands. They say once an junkie, always an junkie. In the case of my own plastic addiction, I’m not sure that’s true. Or maybe it is. Why else would I have the Airfix website bookmarked in my browser? Why else, when I went recently to an air show, was I as thrilled by the sight of a construction kit tent as I was by the heart-stopping thunder of Merlin engines as the Battle of Britain Flight powered overhead? In fact, all this talk about plastic kits has got me wanting to make models again. But which to choose? The 1:48 scale model of my favourite WWII aircraft, the de Havilland Mosquito? Or maybe I’m ready to go back to shipbuilding. I think I fancy a sailing ship this time. HMS Victory, perhaps? There are just so many to choose from. I hope my bedroom’s big enough.